If you have a number of consignments to ship to various retail establishments on pallets, you will definitely need some very secure yet light weight material that you would use for wrapping them. 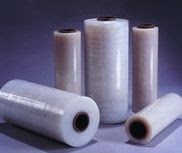 There are numerous companies that are manufacturing such pallet wrap materials. The only bad news is that few of them are really dependable. After all it will not be a nice experience to have when you tie the consignments carefully with pallet wrap for dispatch and after some time the wrap gives in making your consignment boxes slipping and sliding all around during the shipment. That is why you require a reliable and good provider to supply you the wraps. Usually it is the pallet wrap film that you use for smaller items. Of course the shape, size and strength of the wraps will vary from case to case. It will largely depend on the type of consignment you are going to ship. For larger items you require large size pallet wrap of higher strength to accomplish the task. In fact you can cover as well as protect any type of items whether larger or small during transportation using either pallet wrap or the pallet wrap film. The one thing you need to take care of is that the materials used for manufacturing the wraps are good and reliable. They are durable and a little heavier in comparison to the plastic wrap that you use for carrying food. Pallet wrap is also otherwise known as stretch wrap. It is the process of wrapping the packages or boxes containing items that have been accumulated over a pallet. The accumulated items are pulled tightly together using the force of the pallet wrap film wrapped around them. The experience is almost like using the rubber band wrapped around your fingers. As you stretch, the rubber band wraps stronger around your fingers. The pallet wrap film you procure for your purpose could be hand grade at 45cms to 50cms or machine grade at more than 50cms. It all depends on your requirement and budget as to which one you would select finally.